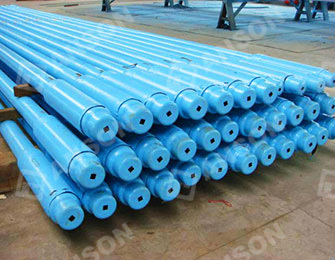 Drill collar is a device used on the bottom of drill string. 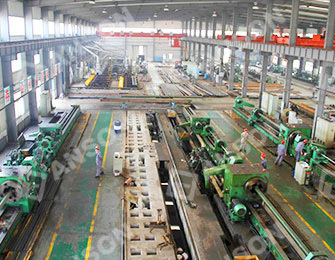 It is a major component of the bottom hole assembly (BHA). 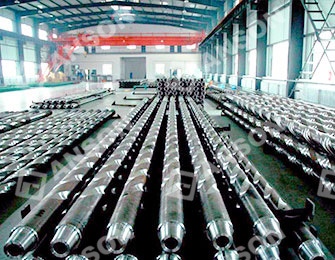 The main feature of drill collar is great wall thickness (typically 38 ~ 53mm, the equivalent of 4 to 6 times of drill pipe), as well as great gravity. It has good rigidity, exposing pressure on drill bits during rock fragmentation and playing a guiding role during the straight-hole drilling. 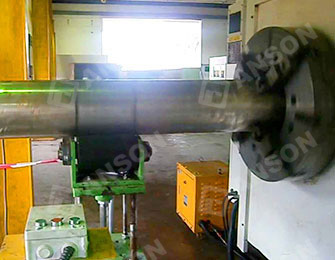 Anson has a unique frequency induction heating quenching and tempering on heat treatment of its drill collars. In this process, the steel unit is rotated forward continuously and uniformly heated. In the quench hardening process, to obtain a consistent and high strength, we adopt the ring and external spray water cooling method in particular. The total drill collar material can be subjected to the hardness of 285 to 341 Brinell after heat treatment of 1 inch from the surface. 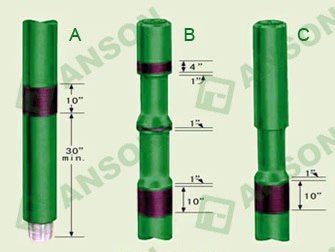 Anson can provide drill collars from 5 feet to 32 feet, outside diameter in the range of 3-1 / 8 "to 11." 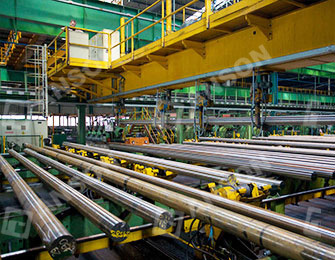 Anson marks the unique printed word on the steels, from receiving qualified raw materials, production, delivery, to installation of the entire process, and would like to maintained its traceability. All series of drill collars are individually conduct a comprehensive inspection to meet the requirements of API standards and our internal technical conditions, including the size of the test, the mechanical properties of destructive tests carried out on the drill collar and the entire tube ultrasonic testing done. A. 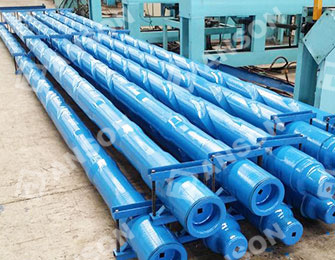 For drill collars product handling and transport, to adopt a reasonable and correct way, to ensure that both ends of the drill collar must wear a protective silk hat, prevent product from dropped, bumped, damaged. B. Hardbanding drill collar is optional for Ansonl. 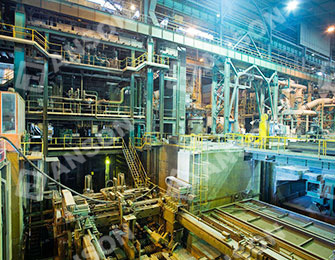 Hardbanding materials include iron-based alloy powder, granular tungsten carbide, ARNCO100XT, ARNCO300XT, TCS titanium and other (specified by user). There is flush type and projection type for it.